Whether you’re a college student, stay-at-home parent or retiree, mystery shopping is a fun and legitimate way to make some extra cash — sometimes a lot of extra cash. I’ve mystery shopped a lot over the last few years (though nowhere near 5,000 times!) and really enjoyed myself. The one thing I haven’t liked, though, is stumbling across mystery shopper scams. Luckily, it hasn’t happened often but I still need to stay alert for shady shopping jobs — and so should you. Mystery shopper con artists will always lurk around the internet so it’s important to know how they operate. Like most cons, mystery shopper scams come in all kinds of shapes and sizes. Here are some of the most common ones you might encounter. One of the most common mystery shopping scams involves getting a victim to give up their name and mailing address, ostensibly so the fake company can advance the shopper some money for a gig. When the victim receives a check in an amount larger than they were expecting, Fake Company tells them to deposit it in their personal bank account and wire back the overage amount. You guessed it. The check bounces and the victim is out whatever money they wired to Fake Company, never to be seen again. The U.S. Postal Service warns against a similar scam involving unsolicited mailings from scammers inviting you to become a mystery shopper. Be sure to check out the copy of an actual fake check and letter to see how convincing these con artists can be. This con plays upon our natural desire to want guidance navigating through the hundreds, if not thousands, of mystery shopping jobs available across the internet. These fake companies promise to find you best, highest-paying, most fun jobs in your area — for a fee. They may claim to have special search capabilities, access to mystery shops that aren’t advertised online or recruit for well-known mystery shopping companies. Reputable mystery shopping companies don’t use recruiters, hide their jobs from applicants or require special search tools to find. Drop these fraudsters like radioactive waste. The AARP, which tracks all kinds of scammers through the its Fraud Watch Network, says fake mystery shopping gigs have been around for a while. “One way the scammers found many of their victims during the recession was through job boards where people could post their resumes,” says Amy Nofziger, regional director for the AARP Foundation. “Scammers would use these to personalize their pitch to specific job seekers, homing in on the job seeker’s previous experience,” she says. You know we love mystery shopping here at The Penny Hoarder HQ, even when we kind of accidentally fail at it. Several of us do it as a side hustle, but we know we’re not going to get rich doing it. True, some shops can net you anywhere from $45 to check out a church up to as much as $100 to shop for a trench coat. But those opportunities are rare. Most mystery shopping jobs net you more like $10 – $20 per gig, or just some free booze (hey, that’s good enough for me). Armed with that knowledge, be highly skeptical of any company that promises you’ll make enough money to drive around in a Lexus while nibbling caviar at stoplights just by shopping undercover. New mystery shopping scams pop up all the time, so your best defense is a good offense. When deciding whether to apply for mystery shopper job or run away like your hair’s on fire, keep these tips in mind. You probably already knew I was going to tell you to do your homework, but it really is the number one way to protect yourself from scams. Don’t be afraid to go all Sherlock on the company you’re thinking of signing up for. Our Facebook community page is also a great place to talk with other home-based workers about their mystery shopping experiences. Don’t answer unsolicited emails about mystery shopping gigs, no matter how enticing they seem. Toss mystery shopper snail mail you didn’t send for and hang up on companies that call you out of the blue. Reputable mystery shopping companies don’t spend money and time recruiting shoppers through cold calls and emails to random people around the country. You want to make money as a mystery shopper, not spend it. Any mystery shopping company that asks you for money in exchange for plum assignments, application fees, or background checks does not have your best interests at heart. If you spot what you think is a fake mystery shopping company during your job search, don’t bother trying to call them out. They’re the experts in handling this kind of thing so file a quick complaint and get back to the business of finding a legitimate mystery shopper job. Nofziger notes mystery shopper scams can happen any time but occur more frequently during economic downturns and at certain times of the year. Nofziger says vigilance and consumer education are the best weapons against falling for fake mystery shopper gigs. Lisa McGreevy is a staff writer at The Penny Hoarder. 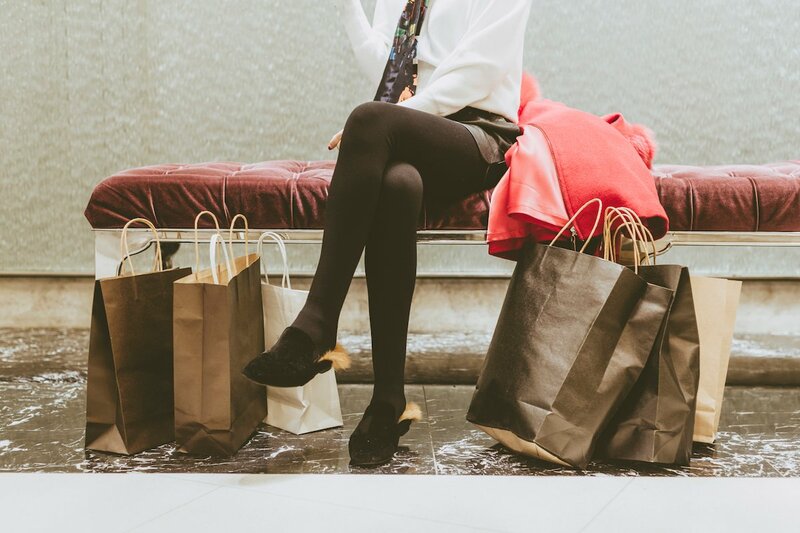 The best mystery shopper gig she ever landed was a full makeover at a fancy department store. She got to keep the lipstick.